Superior Fruit Equipment was founded in 1995 in Wenatchee, WA, the heart of the fruit growing region of the Pacific Northwest. 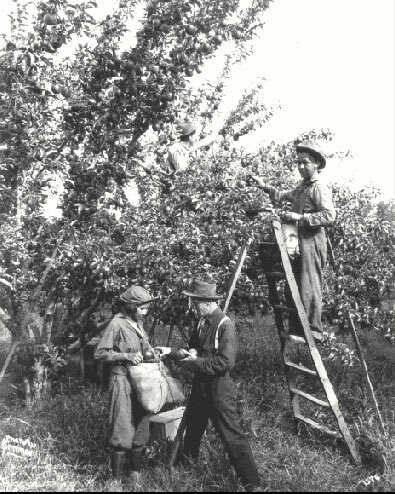 At our founding, we took over the manufacturing of three of the most well-known and respected brands in the professional tree fruit industry: Hickok Pruning Tools (established in 1928), Vaca Shears (established in 1912), and Wells & Wade Harvest Equipment (established in 1922). Our location in East Wenatchee gives us instant access to feedback from users of the tools we manufacture. Our products are made in the USA, and we pride ourselves on manufacturing the highest quality tools available to the professional tree fruit industry. We only use the finest materials, and all replacement parts are readily available to extend the life of the tools. Our selection of uncompromised, high strength materials allow us to offer a limited lifetime warranty. Our products are sold through stocking dealers located in the various fruit growing regions of the world. Our products serve the professional agricultural market, catering to the grape, nut, and tree fruit industries across the USA, Canada, Mexico, Chile, Australia, New Zealand, and Europe. We are not structured to mass produce lower quality products to compete in the discount arena. Because of this, our products are only available from those sources that offer the finest quality merchandise for the discriminating buyer. In addition to manufacturing and distributing Hickok Loppers, Vaca Shears and Wells & Wade Harvest Equipment, we also distribute professional orchard, tree and vine care products from ARS tools, Fanno Saws, and Manzana Clippers. Our reputation for quality and service in the professional fruit and tree pruning industries is unmatched. As a smaller, privately held company, a conversation with our friendly staff or a policy decision maker is only one phone call away.